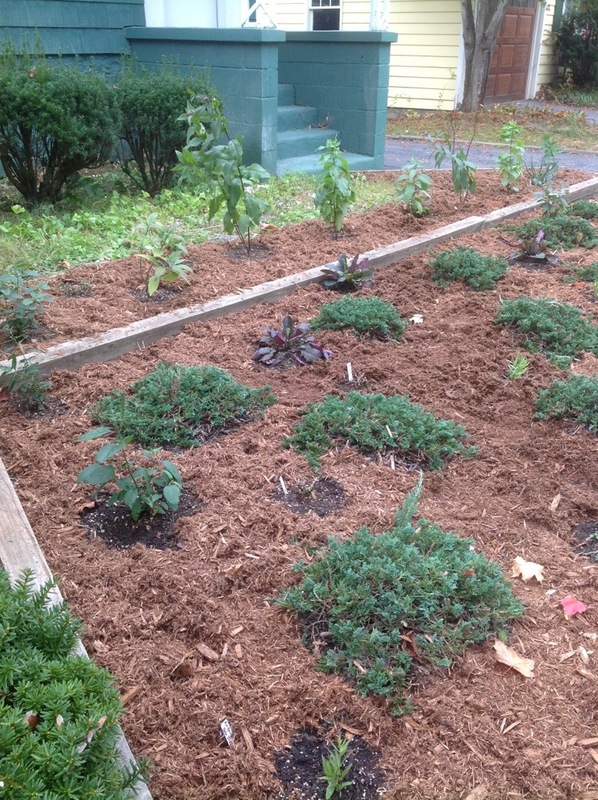 This week I completed a landscape renovation that was of special interest to me: an urban habitat garden that is part of an unofficially connected patchwork quilt shaped wildlife corridor in downtown Saratoga Springs, NY. Migrating birds and butterflies will find this region more and more appealing as property owners continue to invest in restoration by renovating their landscaping with native plants. The property sits adjacent to the Saratoga race track; specifically the Oklahoma track. 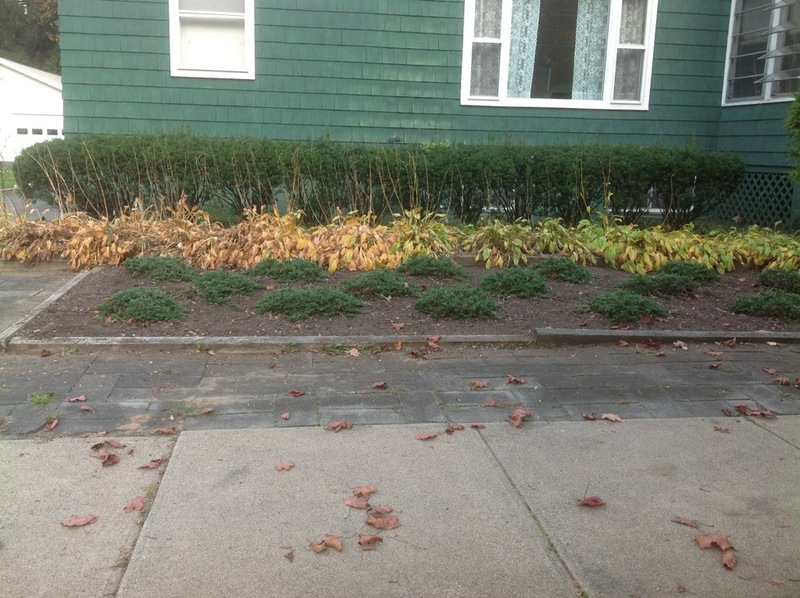 At the outset the existing landscaping was bleak at best: overgrown, ragged hosta had developed cement-like roots next to an assortment of unremarkable shrubs. Ripping the hosta out was an ambitious fete that required a couple days of back breaking labor and at the eleventh hour, the help of a muscular friend. 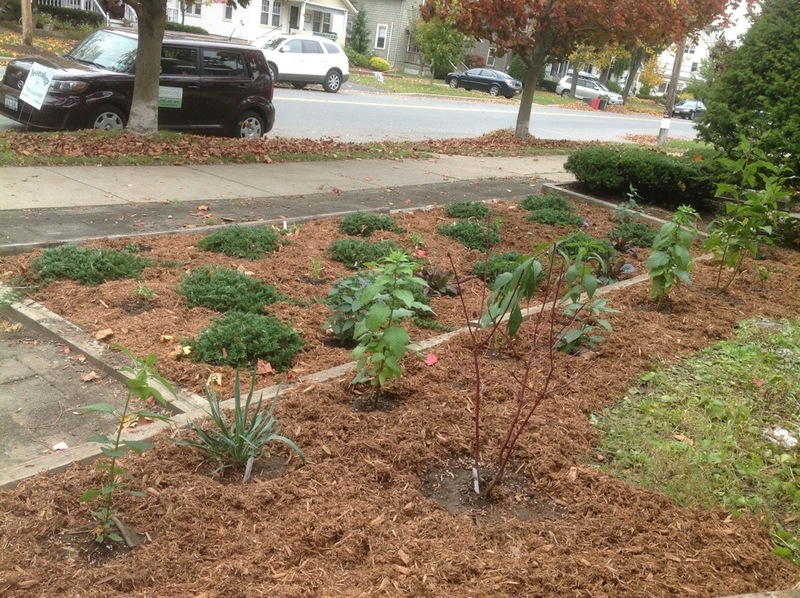 Once the offensive hosta was gone, beautifying the site was seamless process. 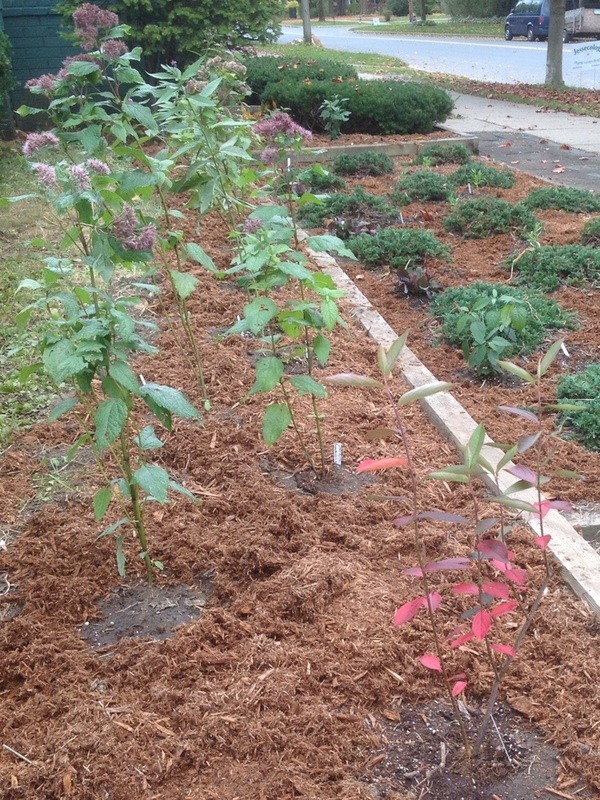 A mix of native plants including shrubs, herbacious plants and groundcover were chosen, including a taller back section of Red Chokeberry (Aronia arbutifolia), “Little Joe” Pye Weed (Eupatorium dubium), Dwarf Ironweed (Vernonia glauca) and Red Twig Dogwood (Cornus sericea). 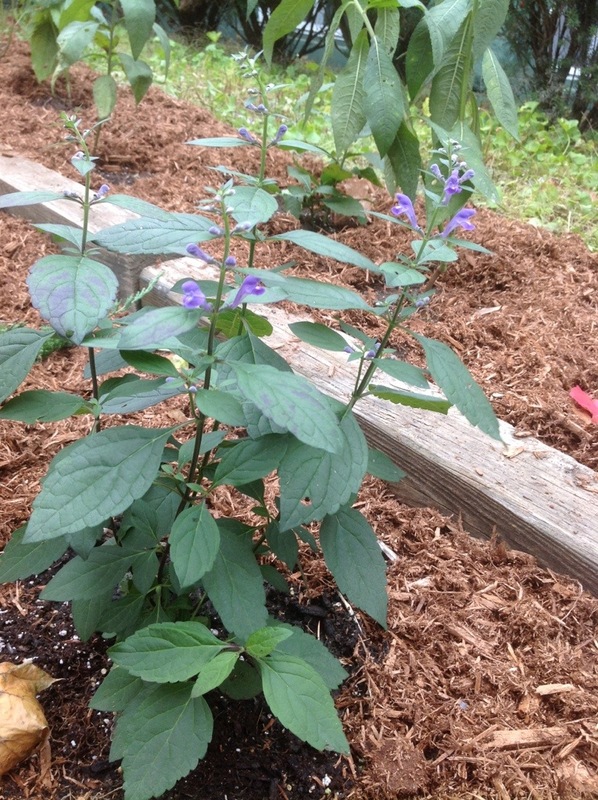 The mid-level section is composed of Scullcap (Scutellaria incana), Hoary Vervain (Verbana stricta), Salvia (Salvia lyrata), dwarf Bluestar (Amsonia tabernaemontana), Boneset (Eupatorium perfoliatum), native Yucca (filamentosa) and White Beebalm (Monarda fitulosa). For native groundcover close to the sidewalk we used miniature Primrose (Oenothera minima). Over the past several summers, I’ve installed an assortment of similar habitat gardens within blocks of this Saratoga Springs property: this is why we can assert that a wildlife corridor is being formed. Migratory species of birds and butterflies now have a renewed safe space habitat route in the urban setting of downtown Saratoga, like a 3D version of the game shoots and ladders. The native plants we selected are at their prime in the months of July and August, which coincides nicely with the race track season. This piece of the Saratoga Springs renewed urban habitat wildlife corridor serendipitously will be quite an aesthetically pleasing spectacle during the time of year when hundreds of thousands of travellers descend on the region.